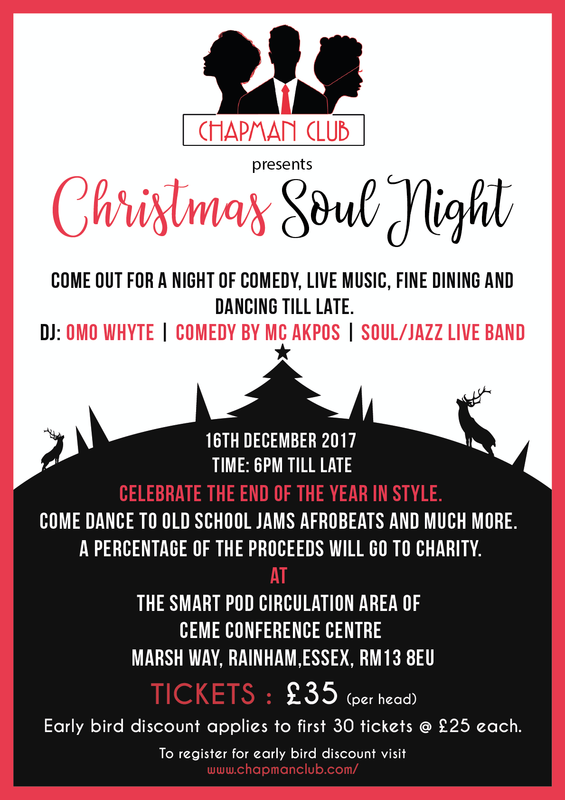 Celebrate Christmas 2017 in Nigerian style: fine Nigerian cuisines, dancing and the whole Naija Christmas experience. Some of the proceeds from the Nigerian Christmas experience will be donated to Hope Spring Water. Tickets: £35 per head. Early bird discount tickets are now sold out. Purchase 8 or more tickets and get a 10% Discount on your order.